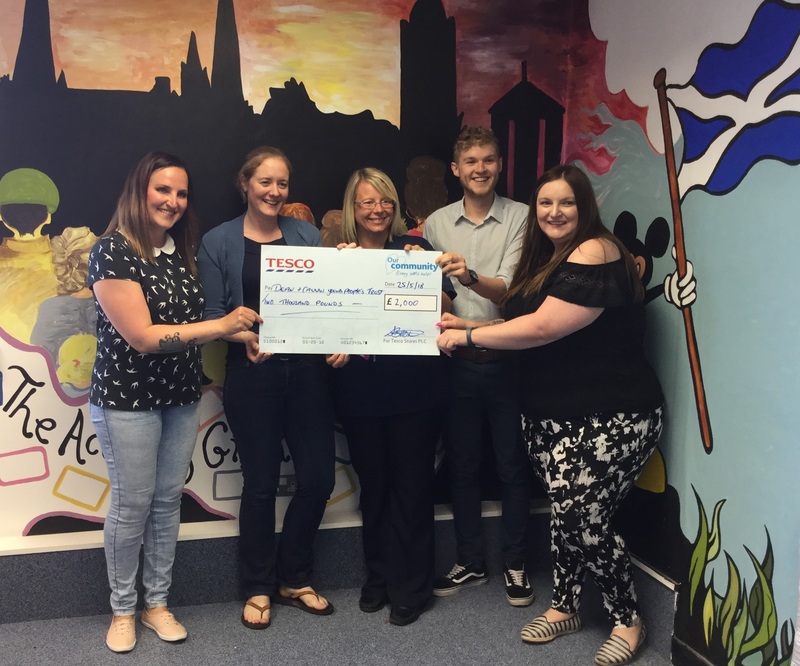 Dean and Cauvin Young People’s Trust applied for funding from the Tesco ‘Bags of Help’ scheme and following a public vote in their West Edinburgh stores we were successful in gaining £2,000. This will be combined with an anonymous individual donation of £1,000 to fund a holiday for young people at Easter. Both donations were very gratefully received, and the Young People’s Working Group are now busy planning locations and activities for the trip away.